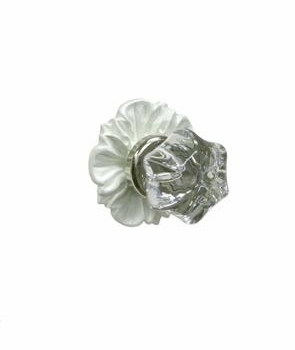 Bring vintage appeal to your child’s nursery by adding this Floret glass knob with silver post to the classic cabinet in the nursery. 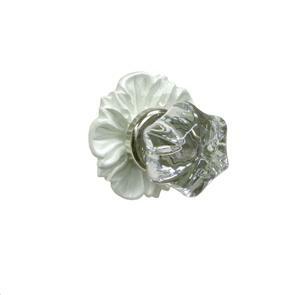 This Antico white finish knob will make an incredible floral accent to complement the nursery furniture items well. Perfect for cabinets and drawers, this knob with a silver post can be only cleaned with a mild soap solution. Dimensions - Width: 2" , Depth: 2 1/4" , Height: 2"